London animator James Curran of SlimJim Studios spent a month in Tokyo and during his stay, he created a new GIF every day for 30 days inspired by uniquely Japanese experiences such as ramen refills, sushi trains, vending machines, cat cafes, capsule hotels, etc. Using a cheery animation style, he sums up these experiences in a two minute video that makes me want to visit Japan soon. You can see all the looping GIFs on Twitter, Tumblr and Instagram with #TokyoGifathon. 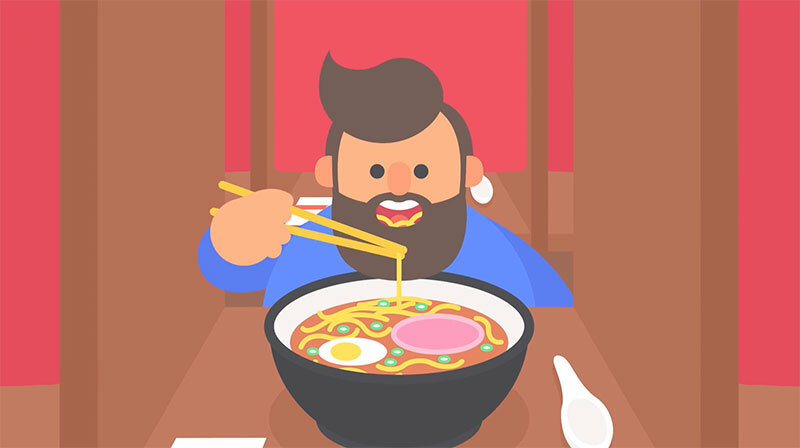 London animator James Curran of SlimJim Studios spent a month in Tokyo and during his stay, he created a new GIF every day for 30 days inspired by uniquely Japanese experiences such as ramen refills, sushi trains, vending machines, cat cafes, capsule hotels, etc.